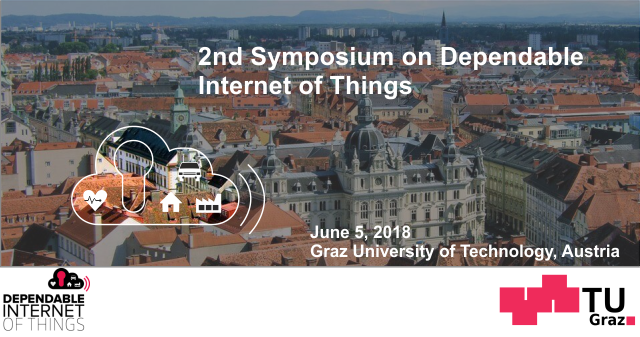 Participation to the "2nd Symposium on Dependable Internet of Things" must be announced by May 31st, 2018 through the following link. The registration is free of charge, thanks to the support by the LEAD Project "Dependable Things in Adverse Environments". Please note that by registering you agree to the use of your data (name, affiliation, address, email) for the purpose of organizing the next LEAD Symposium.